We understand getting your financial promotions signed off can be time consuming. Achieving compliance with the Financial Conduct Authority’s (FCA) requirements will depend on 6 high-level stages being followed and embedded as best practice at each stage. 1. Creation – It is good practice to involve a member of the compliance team or someone with the necessary financial promotion expertise from the outset when creating promotions. By engaging Compliance early in the sign-off process doesn’t just save you time but ensures that the final version is balanced and the presentation of potential benefits and relevant risks are prominently included. Product promotions for deposits, investments, mortgages, insurance and consumer credit must meet the overarching FCA fair, clear and not misleading requirement. Depending on the product type, the relevant FCA handbook requirements should be followed. In addition to FCA regulations, firms must ensure financial promotions comply with various industries bodies including the UK Advertising Codes which are administered by the Advertising Standards Authority (ASA). These codes are written and maintained by the Committees of Advertising Practice (CAP). Completed the marketing approval form and marketing/ financial promotions sign off – checklist. In principle there is no harm in using a checklist. However, problems may arise where checklists are used in isolation i.e. when all the boxes may have been ticked but no-one has stood back and determined whether the material actually meets the rules. 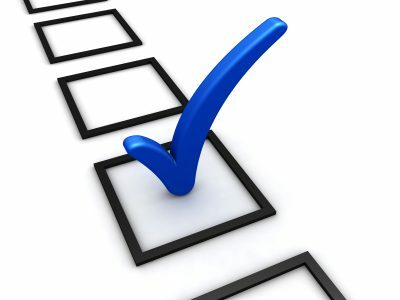 If you are using a checklist alone, it will not necessarily guarantee compliant promotions. Each category may have separate “Sign-off” responsibilities. 3. Approval or sign-off – Once the draft promotion is submitted for sign-off, it should be reviewed by all business areas that have an interest. This will include final approval by an Approved Person (or their authorised delegate with relevant experience). 4. Record keeping – Once the promotion has been approved, it will need to be given an expiry date. This date will depend on the content and use. It is also a good idea to set review dates. 5. Issue financial promotion – Once sign-off has been completed for the promotion, the business is then able to proceed with issuing the financial promotion. 6. Post-Issue review – Firms should pro-actively manage the duration and withdrawal of financial promotions to ensure that they are current and are still required by the business areas. If the promotion is deemed to be incorrect or no longer meets the rules, it must be withdrawn. Review complaints and apply lessons learned to future promotions. If you don’t, your customers may receive unfair, unclear and misleading financial promotions in the future and could lead to costly remedial actions or regulatory discipline. Hopefully, this has given you a high-level overview on the production and approval process. To help identify the level of risk your firm is facing when it comes to the compliance of your promotions, we’ve teamed up with Perivan Technology to provide you with the DotApprove risk grader. The risk grader benchmarks your compliance against best practice. You can access the risk grader here.